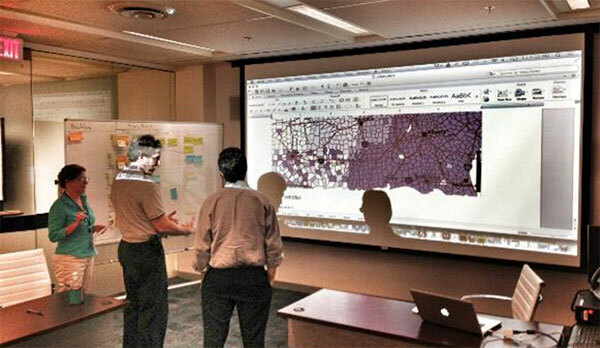 Do you want to build an application, product or business that uses Census Bureau data? There are opportunities to give feedback and get involved. Two years ago, the Census Bureau launched its application programming interface (API), giving developers access to a variety of high value data sets, including our flagship 2010 Census and American Community Survey five-year estimates. These estimates provide statistics for every neighborhood in the nation, allowing developers to create new tools to help better understand their communities and solve real world issues. We’ve continued to make more data available in the API, including decades of key economic indicators. As part of the Department of Commerce’s Open for Business Agenda and the Digital Government Strategy mandate for agencies to be more “customer centric,” we’re again excited to take part in this year’s National Day of Civic Hacking. This event will provide an opportunity for us to build stronger ties with the developer community while reaching new audiences with our statistics. Civic hacking, a positive type of community building around data, allows programmers to harness the power of publicly available government statistics in order to create apps that benefit everyone. At this event, we are going to bring in actual Census data consumers to discuss their data-related problems. Because customer development and finding the data-product market fit are the hard parts of starting a company. By providing access to potential customers who have very specific problems around open data sets, we are trying to lower the barriers for enterprising individuals and teams to start companies. We sincerely hoping that teams will form to address these issues and potentially commercialize their solutions. The Census Bureau will participate along with a variety of partnering government agencies such as the U.S. Patent and Trademark Office, Environmental Protection Agency, the White House, National Science Foundation, Consumer Financial Protection Bureau, Small Business Administration and others. It is just one way we are meeting the goals for open government so that developers can make apps that make our public data more accessible anytime, anywhere and on any device. Do you have an idea for an app? Join other developers on the Census Bureau’s API discussion forum to discuss it or post your finished product to the Application Showcase also in the forum. You can also join the conversation on Twitter by following #HackForChange and @uscensusbureau.